iTEP Executive Director Michael Salenko spent most of last month in Asia meeting with distributors of our English proficiency tests and other partners. iTEP relies on schools, agencies, and other education organizations in 44 countries around the world to make up our more than 230 Certified iTEP Test Centers. 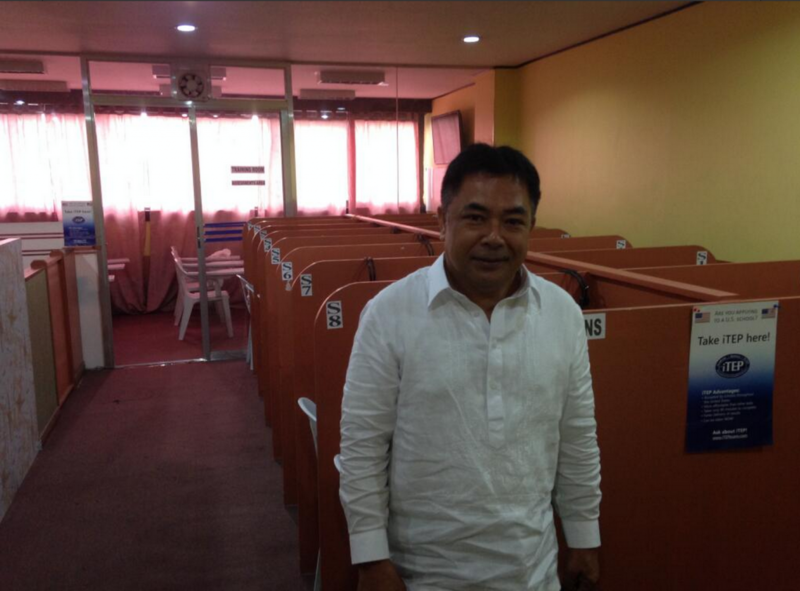 Michael started in the Philippines where he met with Hermelo Cervantes of Michigan Assessments in Manila. As you can see in the picture above, iTEP posters adorn the secure walls of this popular test site. Fortunately, Hermelo and the test center were unharmed in the recent typhoon. Michael had the good fortune of leaving the day before it hit. Michael’s next stop was Vietnam where he met with Mark Ashwill and Pham Minh Hang of Capstone Vietnam. They can be seen above making iTEP’s US team jealous with the delicious-looking food on the table. Michael again had impeccable timing, leaving the day before natural disaster struck Vietnam as well. New iTEP colleagues Delta Education Advisory were kind enough to take Michael to the best high school in Hanoi to meet with the headmaster there. 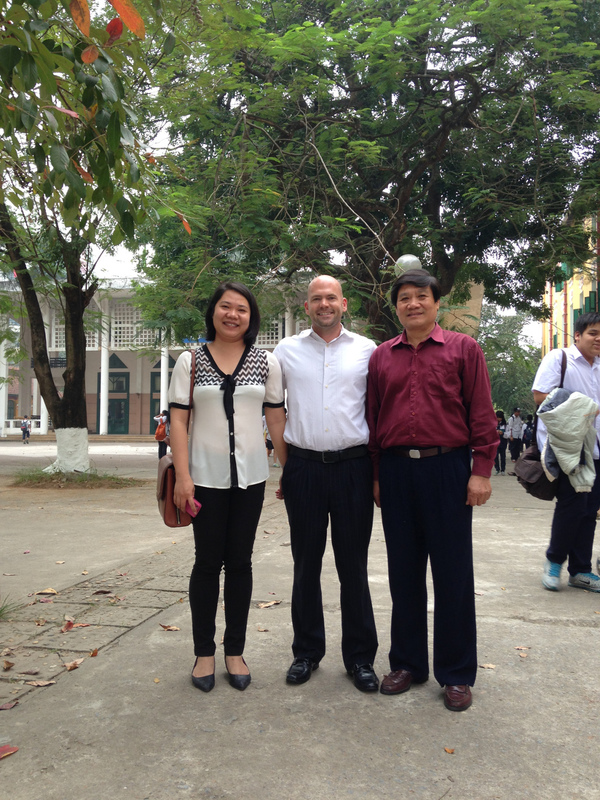 Mr. Chinh and his daughter, Lan, of Delta, posed with Michael at the school in the photo below. Next up was a series of training sessions with the newest iTEP distributor in China, Cambridge Institute of International Education (CIIE). Their highly talented and clever team has already been doing a great job administering iTEP in five Chinese cities after partnering with Boston Educational Services (creators of iTEP) less than six months ago. While in China, Michael also got the chance to visit the ELS Shanghai school campus where he used to work for BES Chairman and former ELS President Perry Akins in 2007. 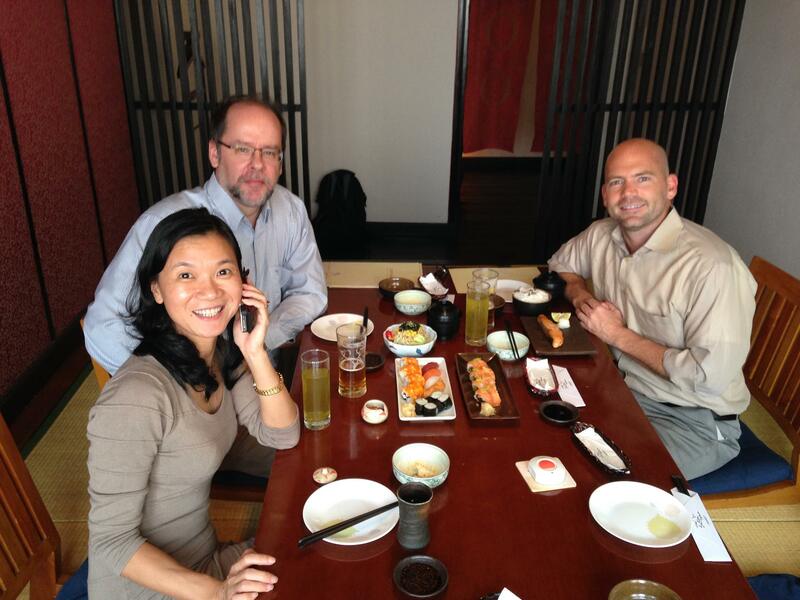 The final stop on the Asian swing was Japan, where Michael met with Japanese iTEP distributor, IBC Publishing, in preparation for their March 21 conference. 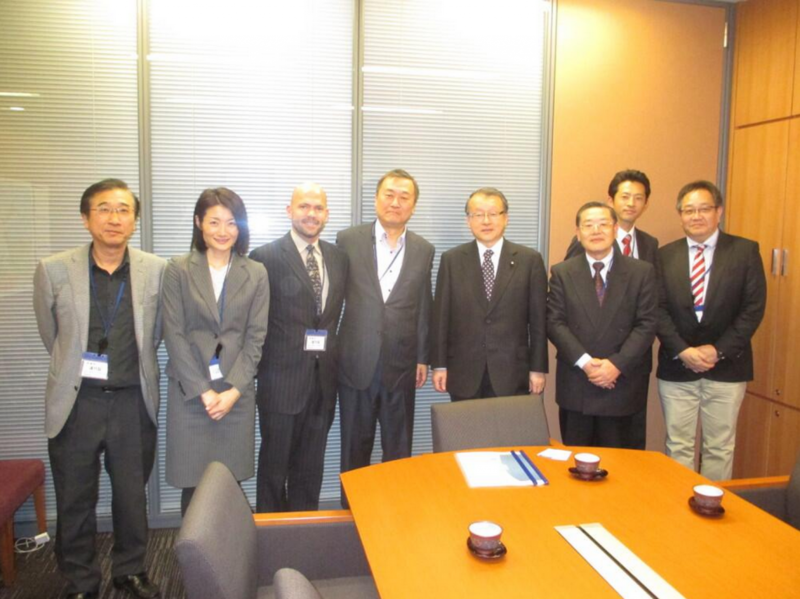 During his meetings with IBC, Michael also had the pleasure of meeting the honorable Mr. Nakagawa, a current member of the Japanese parliament and former Minister of Education (5th from the left in the photo above). All in all a very successful trip. It was great to strengthen our connection with so many of the people who have helped iTEP gain prominence in Asia, and discuss ways for it to continue to grow.